Danielle Jonas just gave birth, guys! Looks like there’s a brand new baby for the Jonas clan! It’s been reported that Danielle Jonas just gave birth to a little girl named Valentina Angelina, and her family couldn’t be happier. This marks the second child for Danielle and her famous JoBro husband Kevin, who had their first girl, Alena Rose, back in 2014. Alena and Valentina? How cute is that? Of course, Kevin’s famous brothers were quick to post the good news on social media. It seems like Joe and Nick are definitely excited to gain the “uncle” title for a second time, and have more kids in the family to totally spoil. Nick’s tribute video is especially sweet. "My brother and his wife had their baby. I am overjoyed," Nick said while on location in Hawaii. Kevin and Danielle have yet to post pictures (and we don’t blame them, as Valentina was literally born yesterday) but Kevin did post this photo of little Alena the other day, and it’s making us melt. Alena also helped announce that her little sibling would be another girl, way back in June. She’s such an incredibly cute little girl, and she’s going to be such a fantastic big sister! 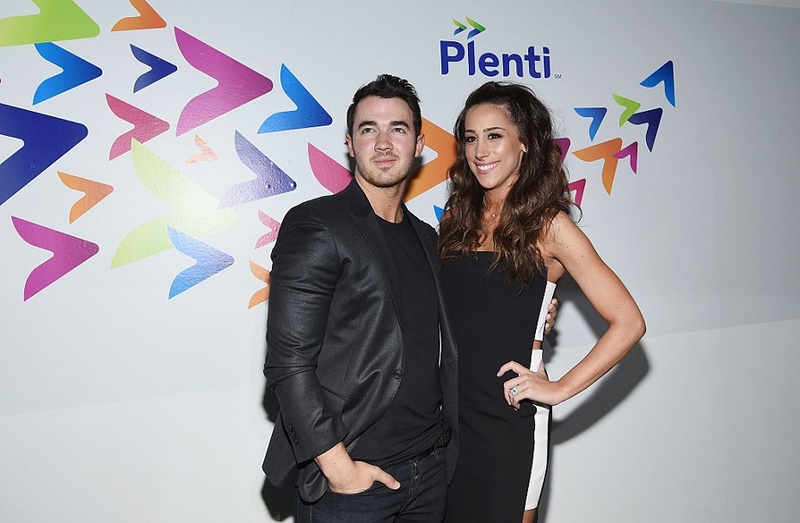 Many congratulations to Kevin and Danielle Jonas! We look forward to hearing more about baby Valentina in the near future!